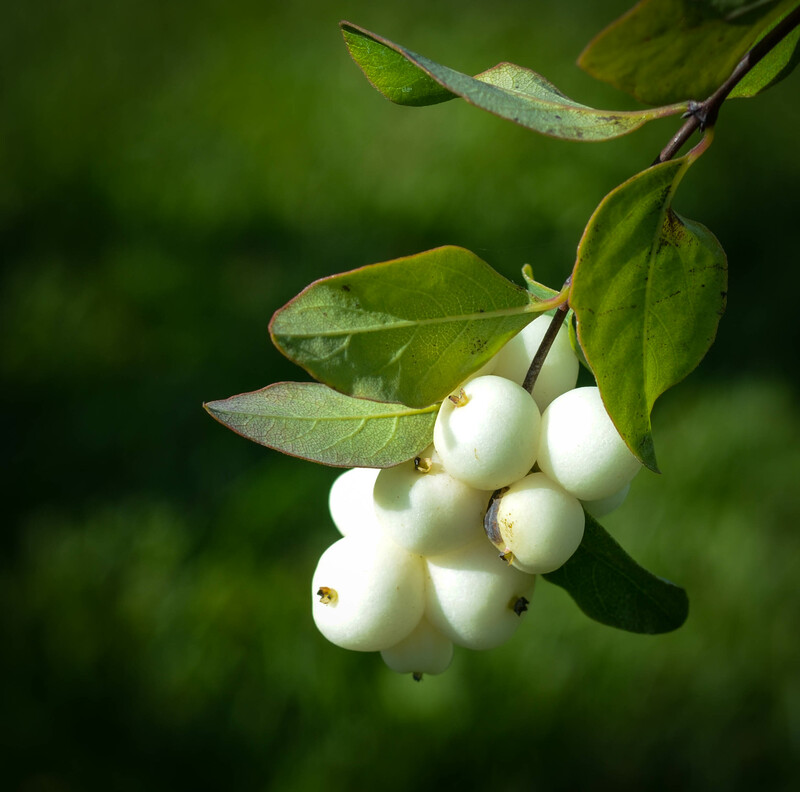 The snowberry is a great choice for filling in a tough spot. It spreads out nicely and will grow in the shade. The berries are a beautiful white coloration and are showy into the winter as the shrub holds the berries long after the leaves fall off. Berries are not edible.